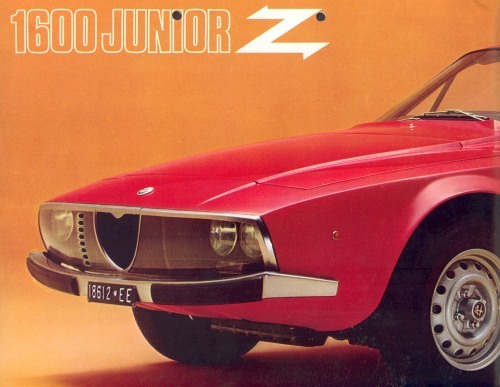 The Junior Zagato was built by Alfa Romeo from 1969 to 1975. 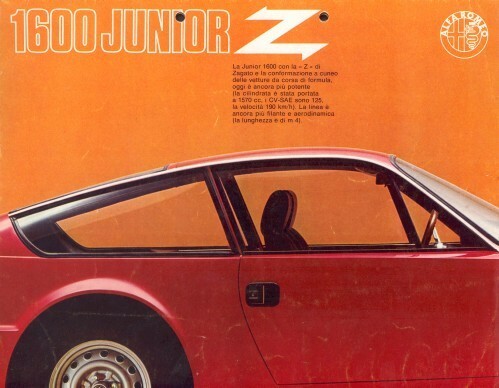 It was a coupe produced in 1108 copies and designed by Zagato. 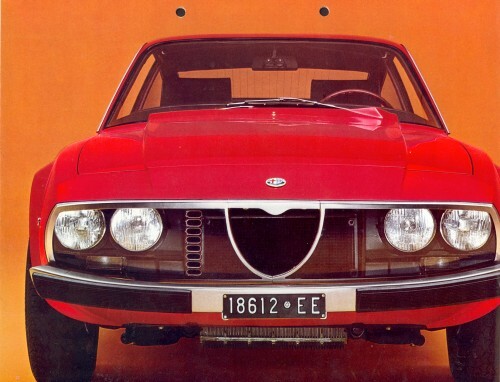 The version with engine capacity 1290 cc was produced between 1969 and 1972, while the 1570 cc from 1972 to 1975. 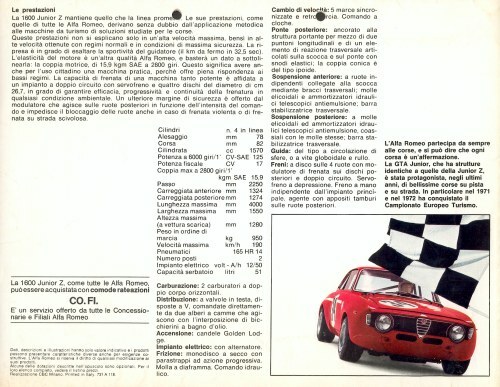 The engine and mechanics came from Alfa Romeo GT Junior. 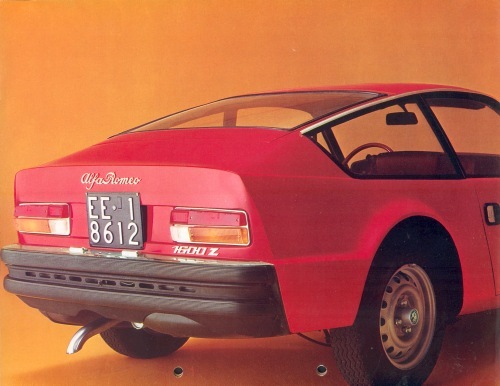 The front lights were covered by a sheet of Plexiglas, which improved aerodynamics. 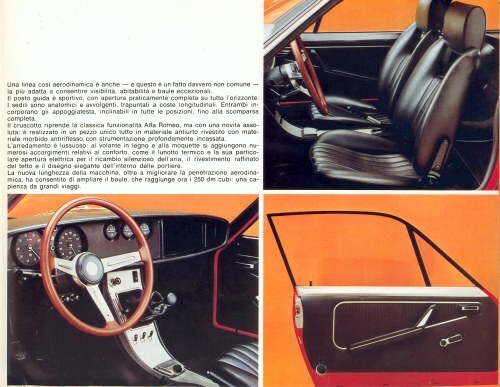 It was designed by Ercole Spada then head of the body design in Milan. The engine was a four-cylinder powered with two carburetors double body type Weber 40 DCOE 28. The distribution was double overhead camshaft and two valves per cylinder. The bore was 74 mm and the stroke was 75 mm. Mobilized an output of 89 hp at 6000 rpm. It was liquid cooled and had a compression ratio of 9: 1. 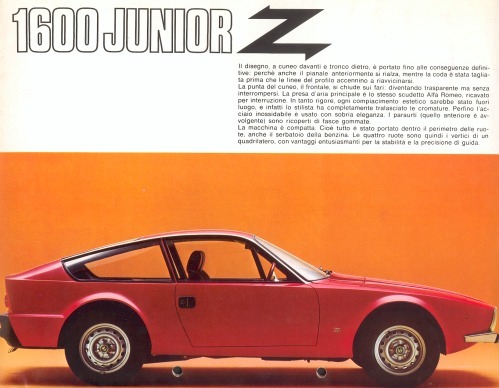 The transmission was rear-wheel drive with a manual five-speed. The brakes were disc and suspension independent front, while the rear axle. 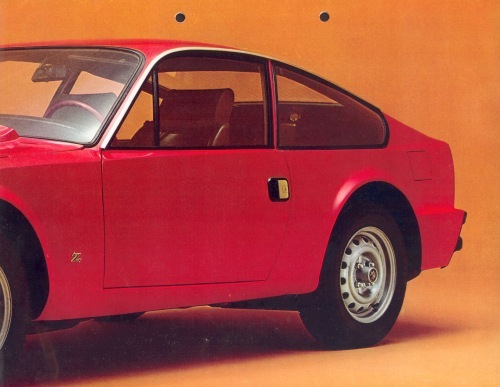 The top speed was 175 km / h for the version 1290cc, 190 km / h for the version 1570 cm³.